What do social documentary photographers do? Or more importantly what do photographs do? If we accept that social documentary photographers are storytellers, then the photographs that we make are our stories and to make great photographs, we need to connect ambitions for our photographs with what we want to say as storytellers. It is really that simple. Yet we have a problem with photographs as there meaning is not always fixed, it is often dependent on context and the words that we use around the image. That is why newspapers don’t let images speak for themselves, as they are often using images to illustrate a particular thing and they do not want the image to contradict the article they are using it with. We as photographers struggle with this, when we start editing our projects. As we struggle with what we want to be saying. As an example: I am starting to edit my City of London Project, because I have something coming up that I need to make a 20 image selection for. So I am starting the process of editing the images that I have been working on for the last 18 months. It will enable me to see the gaps and to set about filling these in before I finish with this project. But first, I need to be very clear about what my intentions for the work are currently. 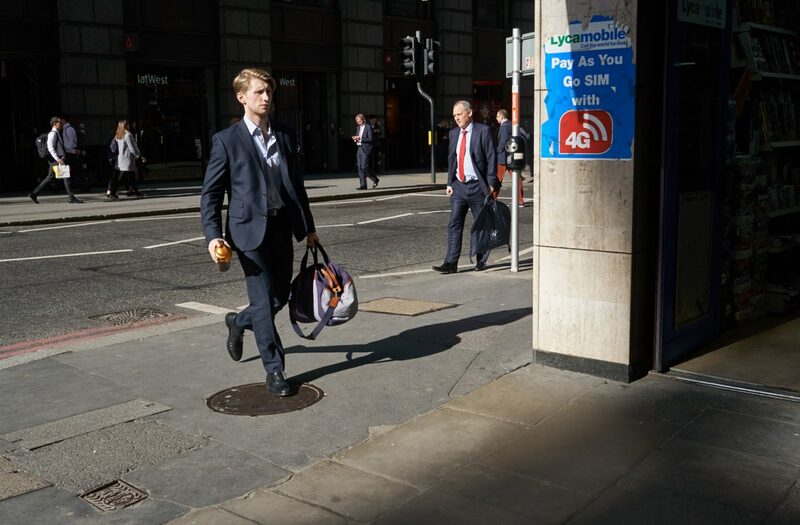 I started out with one idea, that of photographing the City of London with no fixed idea of where it could take me, Yet I wanted to see traces of the finance industry on and in the City of London. However, as time has gone by, I have found myself returning to the same places and working in a similar area of the City looking to see how my story develops. I fight this tendency by walking other areas of the City and this sometimes works. So editing of the project will help me in seeing what it is that the images I have made so far are saying to me. I am currently rereading a book called “Creative Authenticity” Ian Roberts, his principal 2 deals with communication. “Art is fundamentally communication. We feel something and we want to give expression to. (page 40)” This is the motivation for a lot of social documentary photography, we want to communicate something using an artistic process. I particularly like “power comes from something deeply felt and simply stated. (page 41)” As an aesthetic idea it is worth exploring when constructing stories, in other words the strength of our communication will improve when we feel something deeply and find a way of communicating it clearly, to our audience. And his principal 5 where he says, “if we are diligent in learning our craft, our voice-what is uniquely ours-will come out in the telling.” … “If we’re serious about giving expression to our voice, we need to master whatever skills are necessary, whether it is the ability to draw (in our case photograph) or a better sense of composition. Until we deal with them, these problems will continue to stare us in the face graphically, boldly, and every painting (image) we make. (page 65)” ( I have modified the above quote slightly to incorporate photography). So what were looking for is a way of creating our stories, for an audience more than ourselves, one that communicates, moves and motivates our audience to engage with our subject. This involves developing our craft, and our stories that we want to tell, to enable us to communicate as clearly as possible what it is that moves us to make the images and stories that we choose to make. Roberts, Ian. (2004) Creative Authenticity: 16 principles to clarify and deepen your artistic vision. Fairfield: Atelier Saint-Luc Press.